A recent court ruling gives homeowners' associations an edge in their eternal struggle with lenders over who takes the hit for unpaid association fees racked up by delinquent association members who lose their homes to foreclosure. The ruling gives leverage to associations who otherwise might not pursue their claims against lenders, considering themselves likely to be outgunned in a court fight by a large bank, said Mark Benson, a Fort Myers-based expert in property management who is also a real estate broker and certified county court mediator. "Many associations have found themselves in the unpleasant situation of either having to fight in court over unsettled legal issues or choose to compromise their claims to avoid litigation," he said. An appellate ruling in the case, Bank of America v. Bermuda Dunes Private Residences, makes it harder for a lender to claim protection under Florida's Safe Harbor law, which says a first mortgage holder is required only to pay 12 months' worth of fees or 1 percent of the property's value, whichever is less. 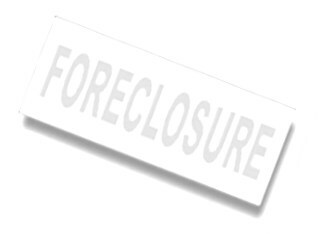 Associations across Southwest Florida still are feeling the sting of foreclosures because fewer residents in their communities are paying the fees for services such as grass cutting and pool maintenance. Some have had to raise fees for remaining residents to make up the difference while banks paid only the minimum amount for the homes they will eventually take back in foreclosure. The judge ruled that Bank of America wasn't entitled to the law's protection when it foreclosed on a home in the Bermuda Dunes Private Residences community in Orlando: The bank lost that privilege when it previously transferred its mortgage to government-backed loan guarantee giant Federal Home Loan Mortgage Corp. The ruling helps empower associations to go after the lender for the full amount of the fees, said Aaron Gordon, in-house counsel with Tampa-based LM Funding, which sometimes uses lawyers to collect from banks. LM manages the finances of community associations on the west coast of Florida and elsewhere. "Just because it's a bank you don't have to back down," Gordon said. "It can help put some money back into community associations." The ruling will embolden associations that otherwise would have accepted the 12 months or 1 percent, Gordon said. "There aren't enough people who are challenging, who are making these arguments. I think associations will probably challenge the banks more." Robert Samouce, an attorney with Samouce and Gal in Naples and president of the Community Association Institute South Gulf Coast Chapter, said the ruling is a plus for associations. "It gives direction to all the judges in the state," he said. "Hey, if you want Safe Harbor you'd better have your paperwork in order." Going forward, Samouce said, banks "are going to do the paperwork right or pay the entire amount." Jennifer Delaney, an attorney with the Fort Myers-based law firm Kevin F. Jursinski & Associates, said the ruling clarifies exactly who has the right to claim protection under Safe Harbor. "Really, Fannie Mae was the party offered the protection" in the Bermuda Dunes foreclosure, she said.